Our service range includes a wide range of access control system, multi doors controller, multi door access controller, single door access control, multiple door access control reader and biometric access control systems. 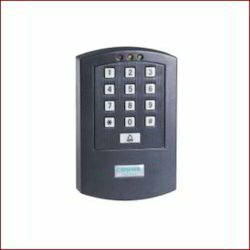 We supply a range of dimensionally accurate Access Control System that are procured from reliable vendors of the market. Specifically designed for security purposes, these are mainly installed in doors, gates, boom gate barriers, elevators etc. Our range of access control systems are safe and long lasting to use and are extensively demanded by corporate houses and government offices. In these systems, data bases can also be created for integrating with time and attendance recording system. Further, we offer our range at most affordable rates. 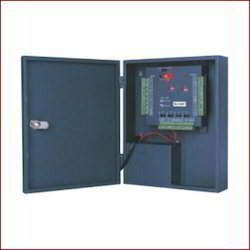 We provide networking Multi-Doors Controller in two models SY210NT-V4 and SY210NT4SPEC. Used to provide management, real-time monitoring, and control of your access control system-all from a browser, with no additional software to install. We provide our clients single door access control that are used for security purposes in various offices as well as homes. These door access control systems are easy to install and known for reliable and long time performance. 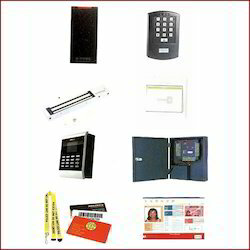 Designed using latest technology, these can open door through card reading, password and both. Available in different configurations, these systems are easy to use and reasonably priced. Biometric attendance systems that we offer are demanded in large quantities across various institutions, organizations & multinational companies. 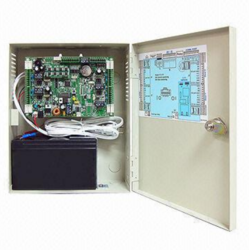 These access and attendance systems are in accordance with various industrial standards. Driven by the approach of total customer satisfaction, we offer these systems as per the customized specifications of our clients. We offer proximity access control system based on proximity technology, which can be availed in various permutations & combination according to customized specifications and requirements of the customers. 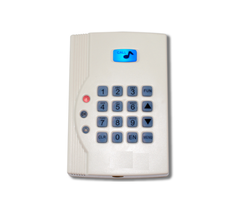 These microprocessor based access control systems are available with optional time attendance software. 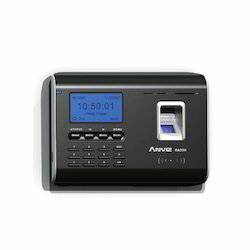 Fingerprint Time Attendance & Access ControlOA280 is the fingerprint time attendance and access control system designed for medium to large size businesses. 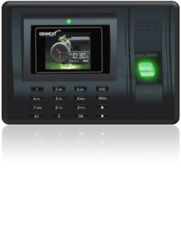 It integrates LCD, keypad, optical fingerprint sensor, card reader and access control components. Graphic user interface allows OA280 to display all languages in the world. The Ipod style design makes OA280 much more attractive than ordinary products. What is more important, OA280 utilizes the latest FRAM technique, which enables more than 10000 times of data read and write as ordinary technology. Meanwhile, the stability and speed can be ensured. Special Cache communication increases the data process speed by 5 times. Optional ID, Mifare and HID card reader is specially designed for the existing card users and higher security level. In addition, with unique Status button, users can have great convenience to manage complicated custom-defined job code or time attendance status in practical situation. OA280 is a perfect combination of appearance outside and performance inside. Access Control Systems at D Access are designed and developed on open flexible technology to provide real-time monitoring, management and control of your access system. Our range of Access Control Systems include the time-attendance payroll software, a standalone access controller, Weigend reader, single door standalone access controller, Access Board connect 4 readers, Electromagnetic locks and the works! Deployment of centralized technology reduces cost and provides a solution to manage all your access points from a centralized location. 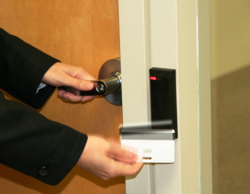 Smart card technology is being used to take conventional access control beyond access control. Through smart cards different applications like canteen management, E-purse applications etc can be developed with conventional access control.